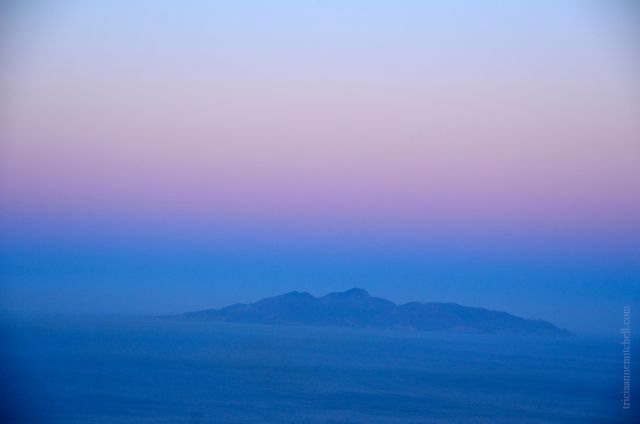 When we awoke on Santorini the first morning, the sight from our balcony was stunning – a shrimp-colored sun slowly rising over the lavender Aegean. In this gentle light, we spotted the jagged lines of neighboring islands, which would soon be washed out by the intense light. There was also a lone boatmen out on the water. His vessel looked like a fleck of pepper, dwarfed by the vast sea. All was still, cool, and then the sun dramatically burst into tangerine hues so brilliant that we could no longer make eye contact with her. As our time on Santorini was nearing its end, we found one of the island’s most iconic structures, the Agios Theodori Church in Firostefani. 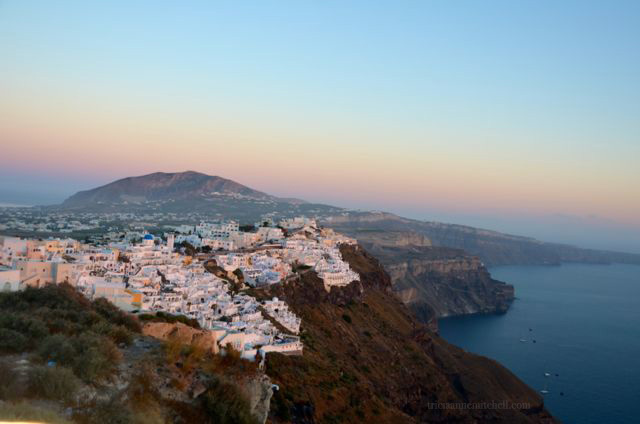 Unlike the village Oia, where large droves of visitors flock to enjoy the sunset, Firostefani was subdued, making it the ideal locale to enjoy the delicate panorama before us. 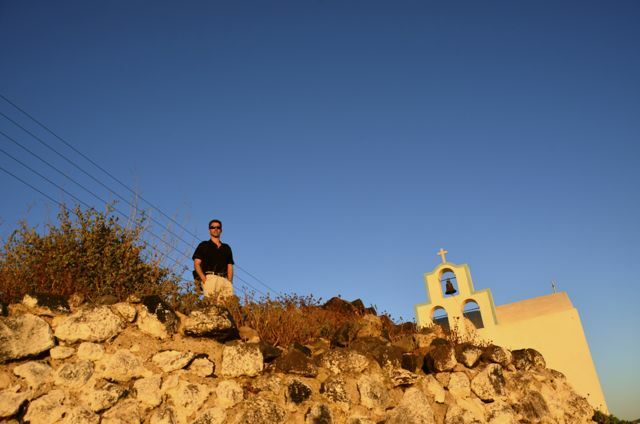 After a bit of exploration, we found one of Santorini’s most iconic churches, the Agios Theodori Church in Firostefani. The still-active Nea Kameni volcano is off in the distance. 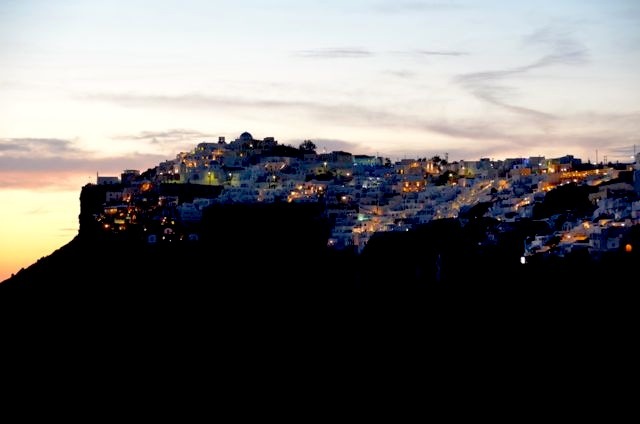 I will share more images and tales detailing all the wonderful in-betweens I described above soon, but for now I wanted to share with you Santorini at daybreak and at nightfall. 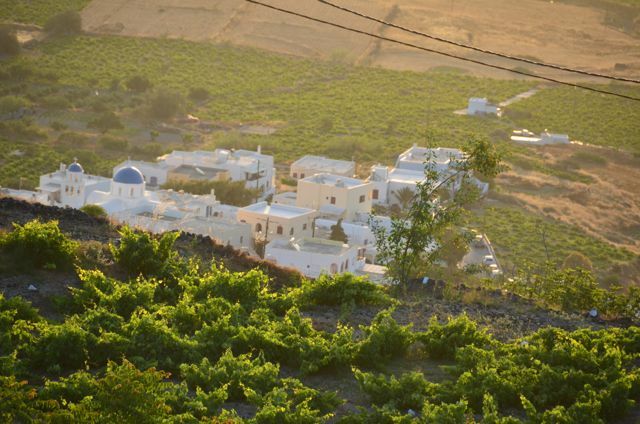 The view of Santorini vineyards, as seen from our apartment balcony in Imerovigli. They’re quite unusual in that grapevines are not trellised as they are in most parts of the world. Instead, the vines are wrapped into a nest-like shape, protecting them from the island’s harsh winds, and dry, hot climate. What a gorgeous welcome for passengers as an airplane makes its descent to Santorini’s airport. 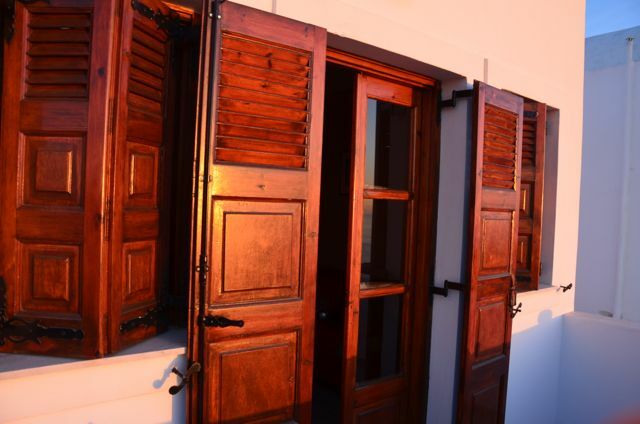 Morning rays reflect upon our apartment’s shutters. We enjoyed our meals on this lovely balcony. Nea Kameni, the small volcanic island across the caldera from Santorini. We toured this volcano one afternoon, and went swimming in hot springs in the vicinity. Its last eruption was in 1950. 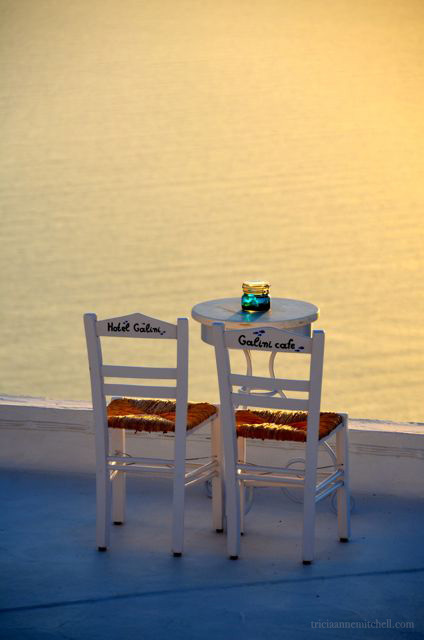 Diners enjoying the sunset in the village of Imerovigli. Imerovigli literally means ‘vigil of the day’ and once served as the island’s lookout spot for pirates, due to its strategic setting. One lovely spot in Imerovigli is Skaros Rock, on which there are remains of a thirteenth-century Venetian castle. 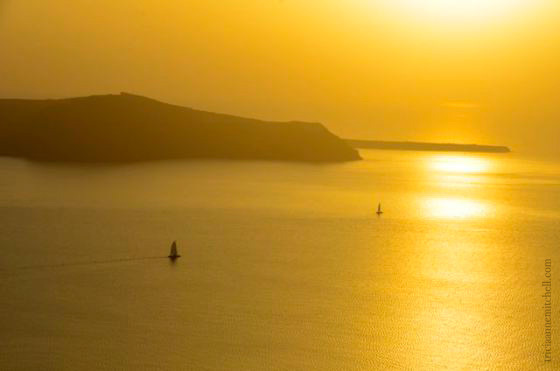 Sailboats take to the golden water at sunset. By day, these white umbrellas provide shelter from the intense sunlight; at sunset, they create a lovely silhouette. 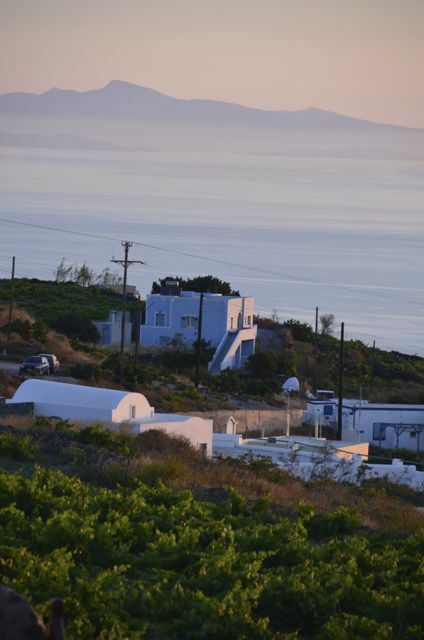 The villages of Firostefani, Fira, and hill-top Pyrgos. Firostefani comes alive by night. 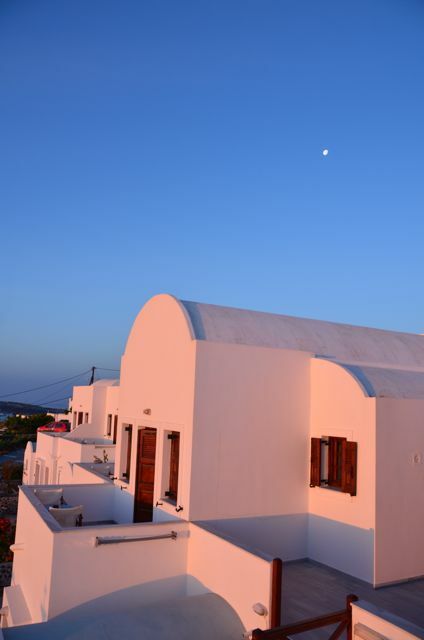 Twinkling lights start to appear in the village of Imerovigli. 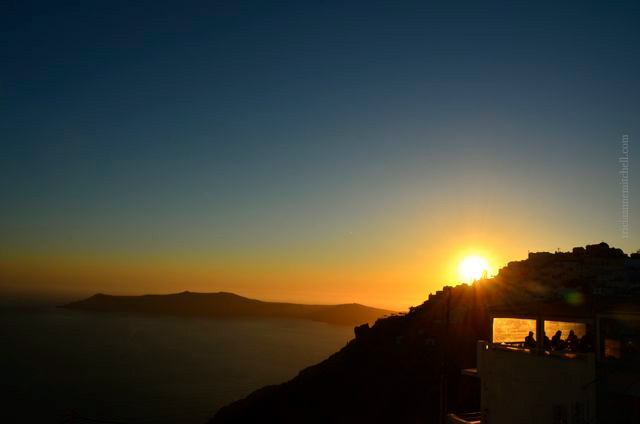 If you’ve read anything about where to go for Santorini’s legendary sunsets, you’ve probably heard that Oia is the best vantage point. We intended to see the sun begin its slumber there, however, as the appointed hour drew closer, the village became unpleasantly crowded, and too noisy for relaxing sunset viewing. 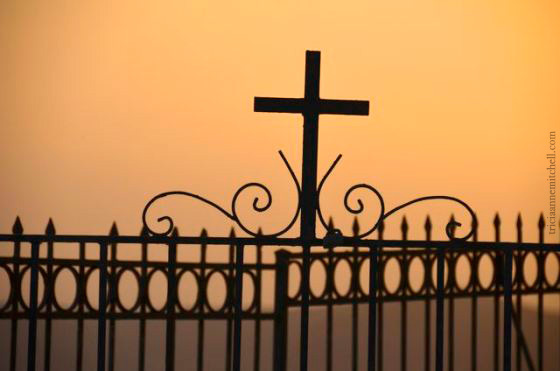 We found the villages of Imerovigli and Firostefani to be delightful sunset destination alternatives, and were pleasantly surprised to find that even Firostefani’s regularly-photographed Agios Theodori Church was a quiet spot to take in the beautiful view. Finally, if you’re looking for a cozy studio apartment in which to stay, do consider the Rhapsody Apartments (affiliate link) in Imerovigli. Owner George was helpful and friendly, even going so far as to share with us delicious Santorini zucchini from his own garden. We loved the apartment’s quiet location, yet walkable distance to Fira, the island’s public transportation hub. A very photogenic island I agree but too busy to be one of my favourites. 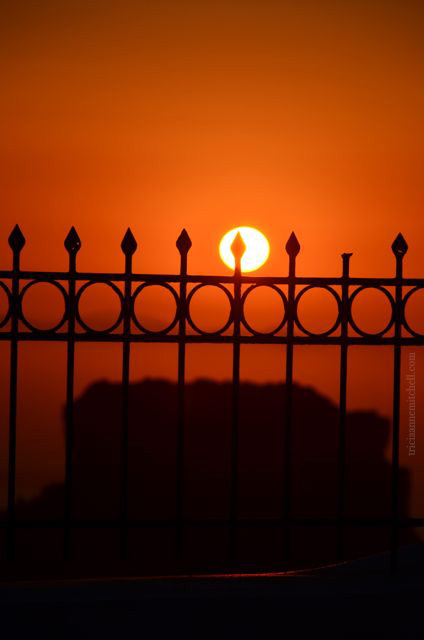 Your point about the sunsets is very true and after all it is the same sunset wherever you watch it from! Andrew, we also noted how touristic some of the villages were, and cringed at the thought of being there with peak season crowds later in the summer! At least in May, I think the crowds were somewhat toned down – what would July be like? The main bus station was chaotic and jam-packed even with smaller crowds. 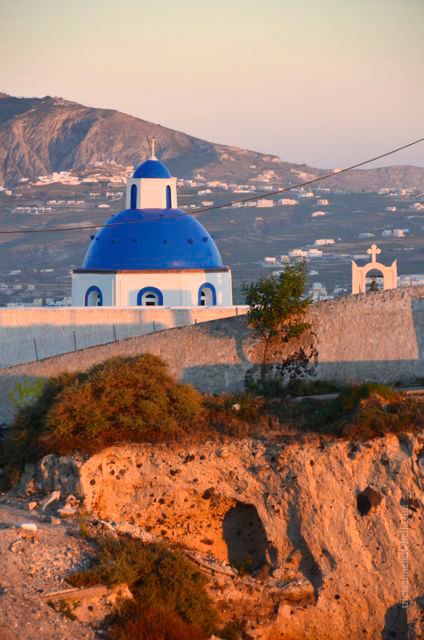 I always recommend Sifnos and Milos in the Western Cyclades and Amorgos in the Eastern Cyclades. These are much less busy with mostly Greek tourists from the mainland. I’ve added those names to the research list. 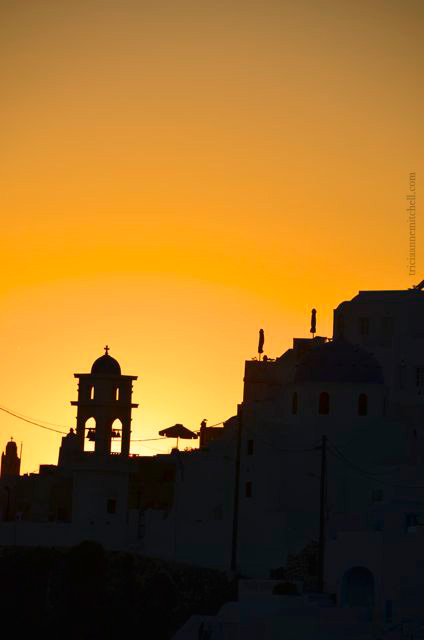 What time of year in the Cyclades is your favorite to visit? What a magical place… I am so enjoying your pictures! 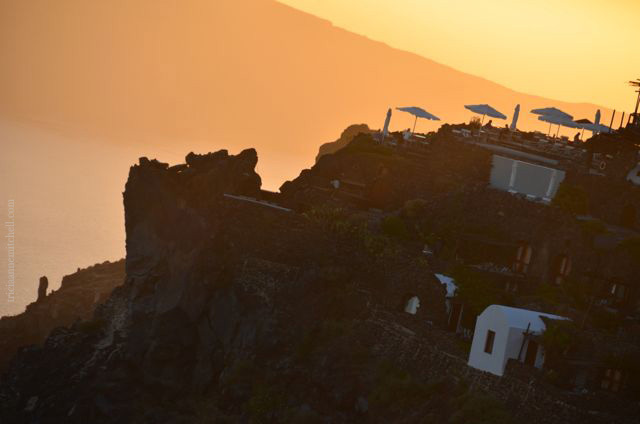 Its dramatic landscapes do make Santorini pretty special to photograph, Annette. Nice to hear that you’re enjoying the photo sets. :) Thank you! Once again, Trish, you have outdone yourself with this wonderful posting – pictures are spectacular! i am ready to go back to Santorini! 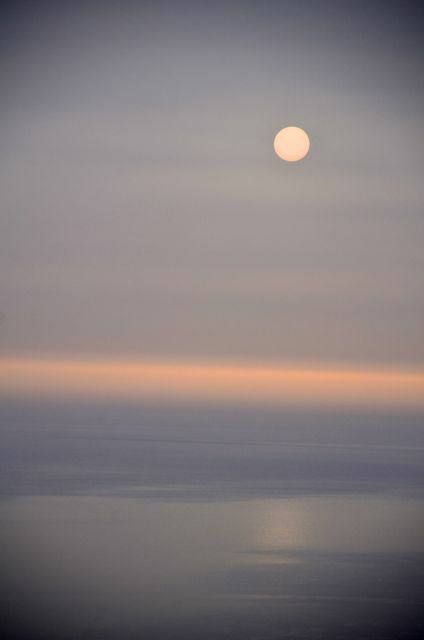 These are by far the most beautiful pictures I have seen of Santorini and area. I like that you go to an area long enough to soak it in and are able to have preferences for the best views. Timing is everything and as tourism explodes, it makes it harder to pick the perfect month in order to have the place to ones self so to speak. Lynne, thank you for your warm comment! We haven’t always been fortunate to voyage slowly as we have been lately, but I do enjoy this mode of traveling. Having fallen for Santorini’s charm, I’m now intrigued to see what other more remote Greek islands are like. 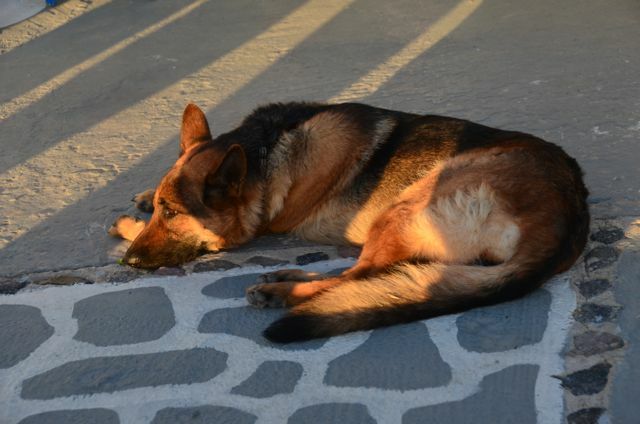 The only characteristic that I missed on Santorini was being able to truly immerse ourselves. I also would’ve liked to have mingled with the locals more, as we did in Croatia, Albania and Macedonia. 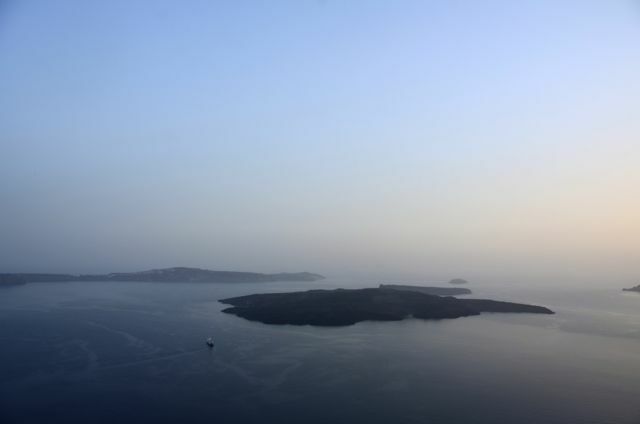 I certainly don’t know how an island as small as Santorini can absorb so many tourists in the peak summer months! Many thanks, Alessandro. Santorini is one of those destinations where it’s difficult to take a terrible picture. Wow, lovely photos. It’s good to hear that the crowds of tourists can be easily avoided. We were glad to semi-escape them in May, but I can’t imagine what it must be like there in July or August! Far…very far Tricia. It’s winter here, but we are escaping for the month of September. We are going to London for a week, then basing ourselves in Bruges and Brussels for a week each, on to Cologne and Wuerzburg each for a few days, and lastly to Frankfurt. We are hoping to really explore Belgium. I can’t wait. Carol, I’d forgotten for an instant that you were in the southern hemisphere. :) It sounds like you have a nice European itinerary in the works for this ‘fall.’ All are neat destinations. Since you mentioned Belgium, I had to throw out that we loved visiting Ghent in the spring of 2011. It had lovely architecture, and a relaxed feel about it, with less tourists than Bruges. That said, Bruges is certainly worth a visit too, but if you can go to both, I recommend it. We are planning a day trip to Ghent while we are in Bruges. We have global eurail passes so we can go anywhere we want as often as we want. I think the nice thing about staying in Bruges is that we can wander in the evenings after the daytrippers have gone. I’m looking forward to it all. Carol, I think you’ll love Ghent. We still rave about the springtime dessert we had there – strawberries with the richest dollops of cream. Belgium also had some of the best cappuccinos, thanks to the creamy topping. Yes I can see me eating my way across Belgium. It all sounds delicious. What a gorgeous time you had and the images are really spectacular. I have always wanted to go to Greece since I was little fascinated with all the myths especially with the goddess Athena. The colours of this country are inspiring! Thanks for visiting my website ~ if you hadn’t I wouldn’t have found your delightful site! Murissa, we enjoyed learning more about Athena when we visited the Parthenon Museum, and the feeling I came away with about Greece during this visit, is how diverse its offerings are – from the awe-inspiring Meteora monasteries in the north, to classical sites we have yet to discover, and the laid back Greek islands. I could spend a lifetime there and still not squeeze in all I wanted to see :) I can see why it’s been a destination on your wish list for some time. I’m glad we connected too. Until next time, Cheers! Tricia, What a fantastic post and stunning photos! I’ve been wanting to go to Greece and Santorini forever. I am bookmaking your site! It’ll help me plan my trip… may it come soon! Cheers! Here’s hoping you’ll get a chance to return someday then! (I’ve been pleasantly surprised to have unexpectedly revisited some spots years later, and found I appreciated them more the second time.) 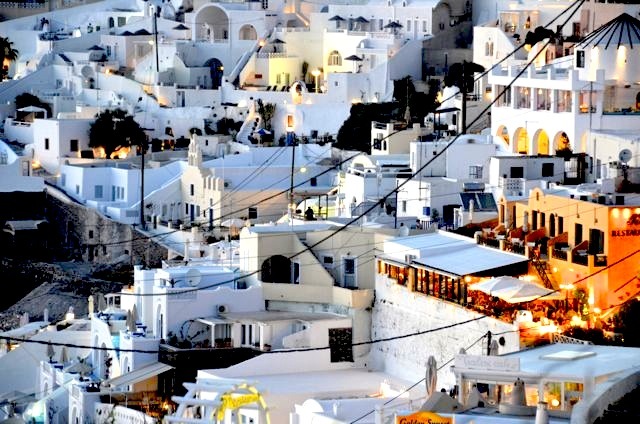 Do you recall which towns you visited on Santorini? Absolutely stunning images Tricia! 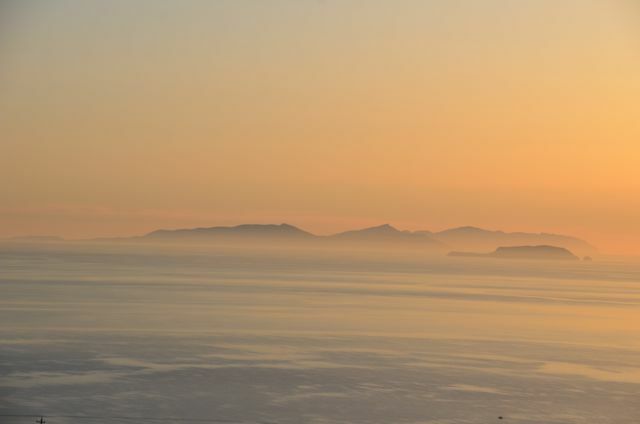 We loved our time there and wish too to explore the delights of more magical Greek islands. Thank you, Madhu. Our trip to Santorini developed rather spontaneously, even though I’d wanted to go there for many years. The views were worth the wait. 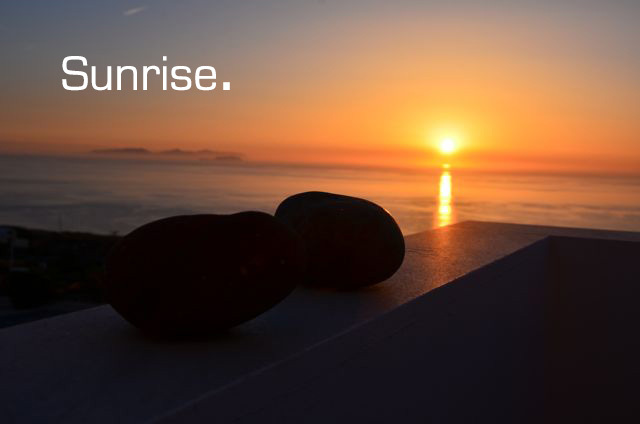 I have tended more towards taking photos of sunsets…but those sunrises are amazing! Anita, as someone who tends towards night owl’isms, I often miss the morning golden hour as well. :) Since Santorini can get so sizzling later in the day, however, we tried to make the most of many of the mornings. Reminiscent of what you get to see regularly in California too? :) Lucky you, Bashar. Tricia, every one of these photographs is exquisite! You have an incredible eye! Greetings Naomi, and thank you for dropping by. Santorini is replete with photo-taking opportunities. The dramatic landscape, minimalist buildings, and vivid colors make it special. 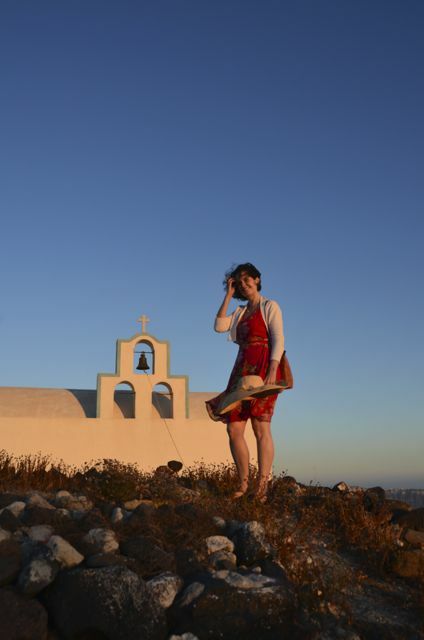 Beautiful photos, Tricia — Santorini was definitely one of my favorites when we went on our Greek Isles cruise. 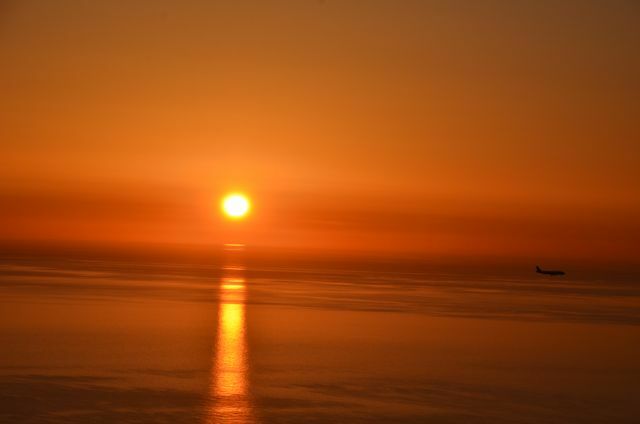 We missed all the sunrises and sunsets, so very nice to see them captured on your blog! Hi Trish, I am so glad I found your blog. 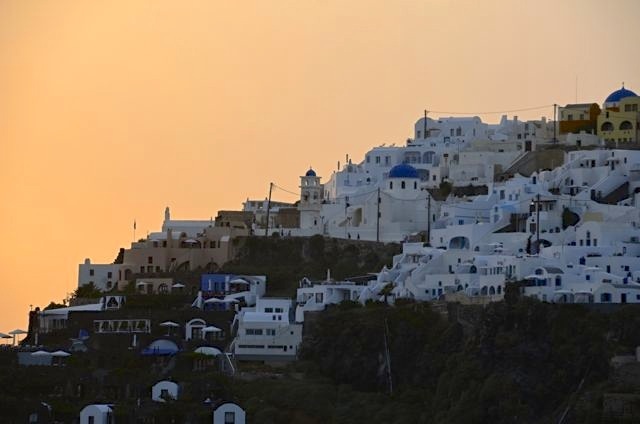 We are planning to visit Santorini end of Oct for one week, and I am simply torn on where to stay, the famous Oia where everyone is raving about the spectacular sunset, the caldera, or a quiet apartment rental outside Oia. I was looking at Imerovligli too, and but didn’t know about Rhapsody. We will look into this place. Like you, we would prefer a quiet place to soak in all the vibes… I gather you can’t view sunset by the Rhapsody’s and had to be out at the village. Thanks again for sharing your beautiful pictures. 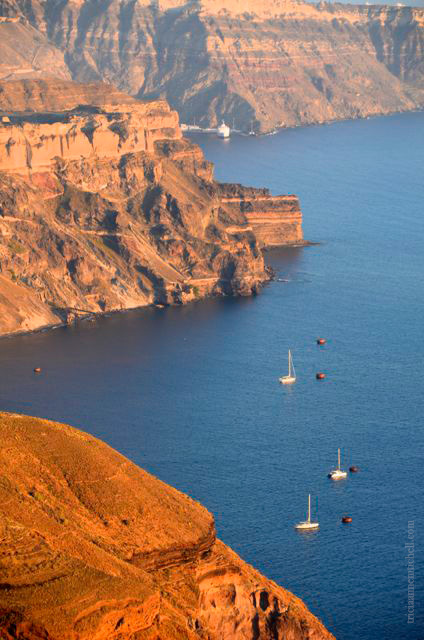 Hello Josephine, that’s exciting to hear that you’re Santorini-bound. We also debated the same question about the best place to stay. 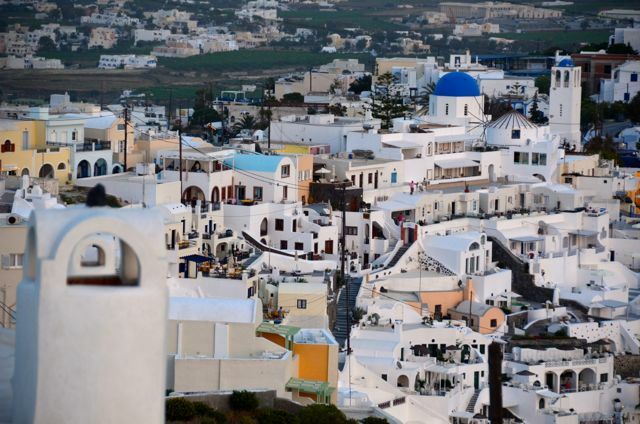 Oia is extremely picturesque, and as a photography enthusiast, I would’ve enjoyed staying there so that I could have gone out and photographed the village during the early morning hours, before all the visitors arrived. If you won’t have a rental car, keep in mind that Oia is a bit more removed from Fira’s transportation hub, but the bus does drop off and pick up there. Though we would’ve had stunning views by staying most anywhere on the caldera, we enjoyed the Rhapsody Apartments because it was much more quiet. 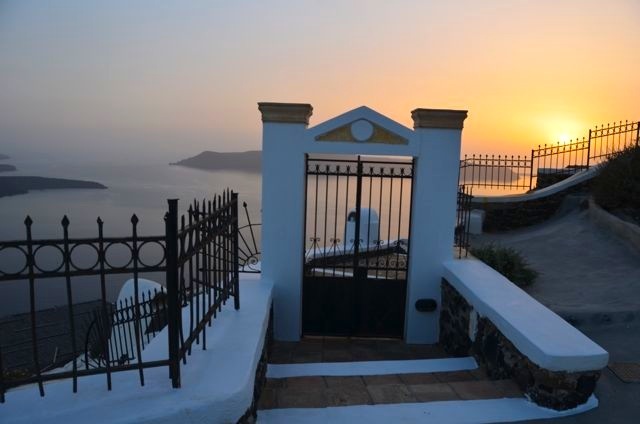 We had a small balcony with beautiful sunrise views of the non-caldera side of the island, and we were able to walk across the street to Imerovigli, where many restaurants offer gorgeous views of the caldera at sunset. We also liked that we could walk down to Fira’s bus hub, from which we could get to most points of interest on the island. If you’re set on a caldera view, but want a bit more peace and quiet than Fira or Oia, perhaps you would enjoy Imerovigli. 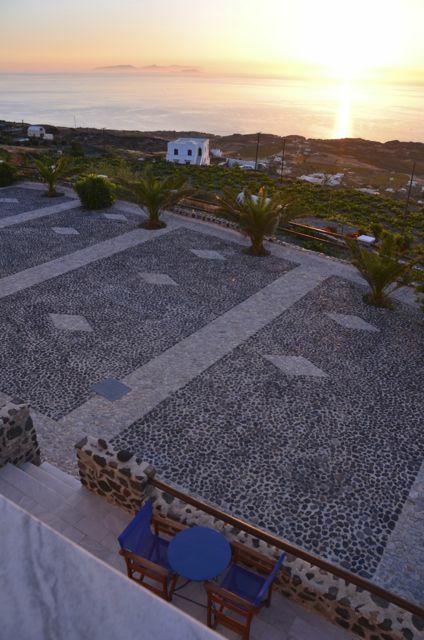 The views of Skaros Rock are especially dramatic from some of the Imerovigli hotels! Angela, how nice to hear that you’re having a superb time in Santorini! Like you, my husband and I are also fans of traveling during the off-season. We’re now living in Malta, and enjoying the island before a plethora of tourists descend and the temperatures skyrocket too much. 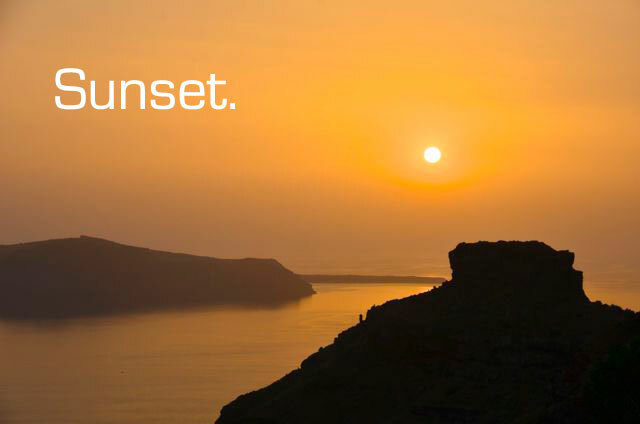 Santorini’s sunrises and sunsets are legendary for a reason. I wish you continued joy in capturing them, and thank you for your comment.